Discussion in 'Windows OS and Software' started by Atom Ant, Apr 13, 2017. Just figure out if you can live without touchpad. Otherwise for Windows 7 I reccommend Dell. There drivers can be found for machines up to 7th gen Intel processors. Try windows update catalog for updated drivers. For i2c keyword should HID device and SMBUS driver for older technology. I've tried even in windows update. When I install the driver, the mouse escapes to the sides of the touchpad reacts to finger movements LPM and PPM works but when he wants to run his finger over the tile, the mouse starts to run and does not work properly. The only option is to wait until someone modifies this driver As I said in the device manager in the device I2C pops up the hardware ID as: ELAN 1200 I tried with the Dell driver also installed from Synaptic and continue the same. Is something already known or is there a touchpad driver available? 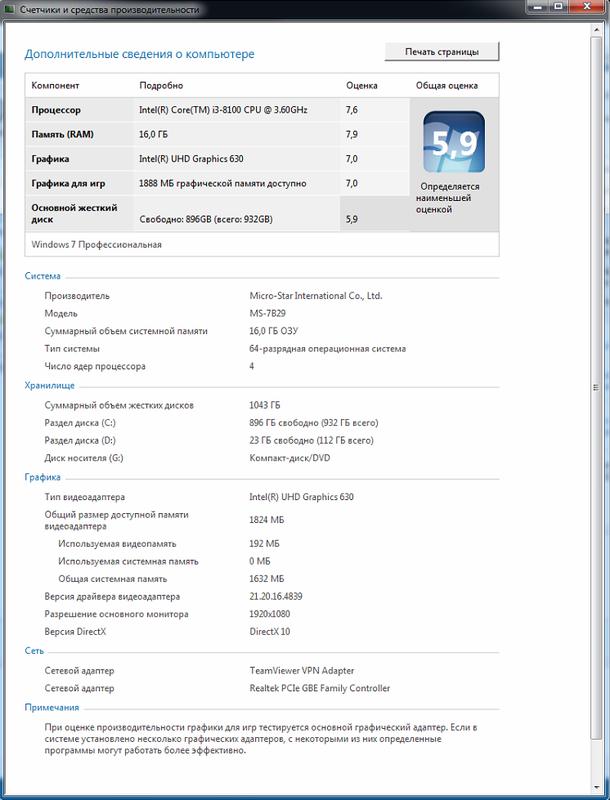 I’ve found a possible Coffe Lake IGP driver for Windows 7. I did not tested, because I do not have Coffe Lake laptop, but if some of you would, I would appreciate that. Found some russian source, which indicate it is working! At the end, seems they even solved the USB driver issue too. So finally something promising, I may will have one more Windows laptop with Coffe Lake CPU. 3g6, DackEW, Riley Martin and 4 others like this. Hi all, so far I've successfully installed Windows 7 on Acer Aspire V17 Nitro - the only drivers I couldn't find are those for the audio, Intel SST or something, but currently I'm trying to mod the win10 drivers. Also on MSI GT73 - no issues with this one, I was even using some of the Win 10 drivers form MSI. Both laptops are configured to work in legacy mode and I used the gigabyte's tool to update the drivers in the USB drive. Now I'm trying to install Windows 7 on Acer Predator Helios 500, but this machine does not have "Legacy mode". So I made an Win7 UEFI USB drive using rufus and tried to update the USB drivers again using gigabyte's tool but no luck - ends up with a message like "failed to update/load" or something. When I try to install windows, the USB drive is detected but after loading files nothing happens, the windows icon and "starting" or "welcome" are displayed forever. The ISO I am using for the UEFI installation is different from the one used in the legacy installations because rufus was giving me only the option to create MBR/CSM USB drive. So maybe the problem is within the new ISO I'm using and will try different one. And I just found this thread and will try the Asus EZInstaller instead of the gigabyte's one. But still wonder why gigabyte's tool couldn't load the new drivers? Does it matter if I'm using USB 2.0 or USB 3.0/3.1 drive? Does it has to be MBR/CMS bootable drive for these tools to work? Also, does anyone knows how to manually make an UEFI bootable drive from non-UEFI one? If possible how to manually add the newer drivers? Or confirmed ISO for UEFI installation? Any help will be appreciated. Once Dell reps hear that they will ship BIOS update via Windows update to get rid of that driver and force you to W10. The MSI GT73 on which I installed Windows 7 is running i7 7820HK Kaby Lake CPU. I can't tell you right now the driver version because currently the machine is used by my sister but if you want I will ask her to check it. But I can confirm that the machine is running fine when booted with the iGPU. I installed the driver using iobit's driver booster and I think that this program doesn't have an option to download and save them, but you can use other programs like SlimDriverFree or drp.su or look for the downloads in localappdata folder. Regarding "full" UEFI installation of Windows 7 on Acer Predator Helios 500 which does not have Legasy/CSM option/support in it's BIOS. It's the Ryzen model and I'm not sure if the Intel ones has this option, but moreover as I was reading some threads about Lunux installations on this laptop, thing are changing it newer BIOS updates. And I think that in the future we will see more and more laptops configured only for UEFI installations. I hope that the GT73 and this Acer will serve me long enough until we get Win 10 replacement OS. For this particular machine already ordered BIOS programmer thanks to this guy and I will try to unlock some BIOS features and see if there is a hidden legacy support. For the moment I'm trying to install Windows without CSM. The reason my installation is freezing after loading files is that not all component drivers were updated for legacy-free. In particular Windows 7's video drivers require the CSM because it is using classic VGA output. For UEFI GOP is required. Maybe when Windows 7 was released, GOProtocol wasn't mature and couldn't be used. According to this article by AMD from 2011 LCD backlight adjustment are not supported by GOP. Strange thing is that I was able to install Windows 7 using some random ISO, it had integrated updates untill 2016 and didn't require USB driver updates to start the installation. But after first reboot loading freezes again on windows logo. The reason why Gigabyte and Asus tools can't update drivers in UEFI bootable USB drive is that when install.wim is larger that 4GB (max size for FAT32), the tools creating the UEFI USB drive like Rufus are splitting install.wim it into several .swm files which can't be modified. I found this forum with very useful info about installing Windows 7 on UEFI systems with GOP, might help someone. Their approach is to install specific GPU drivers but in think that it's more appropriate if we mod Windows 7 to use GOP and I'm sure that it's possible or even some releases support GOP - found this video . By the way, isn't Mr.Fox forum member? According to this document Windows Server 2008 R2 (which is based on the same sources as Windows 7) does support GOP so it may be used to figure out what has to be copied/modified in Windows 7 installation to support GOP. I will try to find Windows Server 2008 R2 ISO and install it in UEFI mode without CSM just to confirm it's working. Atom Ant, Vasudev, JKnows and 2 others like this. Yes, that is our beloved @Mr. Fox video.